Mullet Creek flows through an area known as Shalebank Hollow in Mississauga. Freshly reforested, the area still retains some evidence of it’s farming past. Normally I like to look for the unique history of the places we hike but this week I must be satisfied to present a few pictures we took while on a short exploration. With the passing of our father on Thursday, getting away from things briefly seemed even more necessary than usual but there isn’t time for the regular research and writing. Therefore, please enjoy the following photo journal of some of the things we saw. 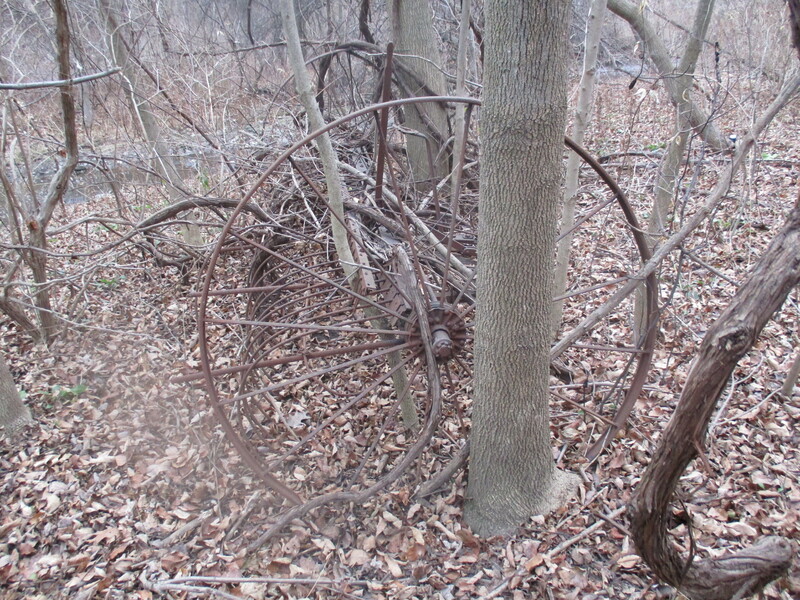 An early horse drawn hay rake known as a dump rake has been left sitting close to Mullet Creek and the trees have grown around it. 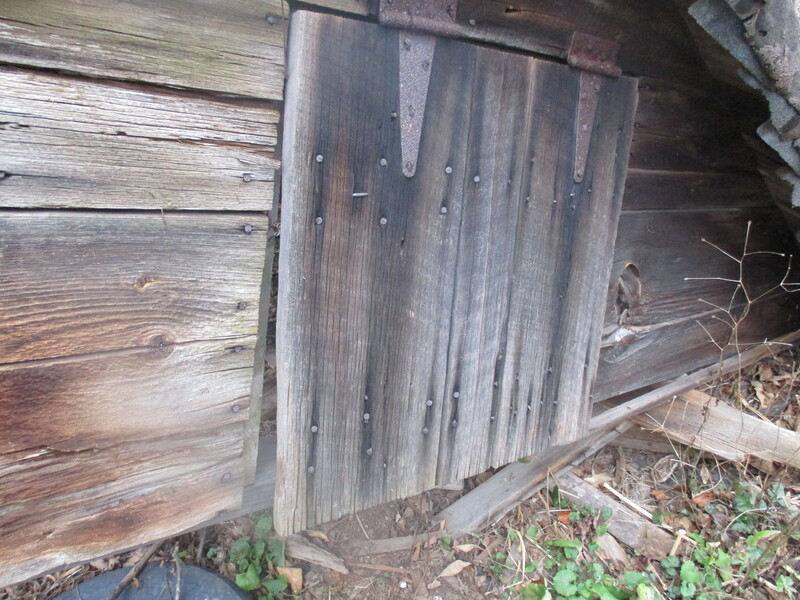 These rakes were operated from a seat above the curved steel teeth of the rake where the farmer lifted the implement as he went back and forth to create a windrow of hay. 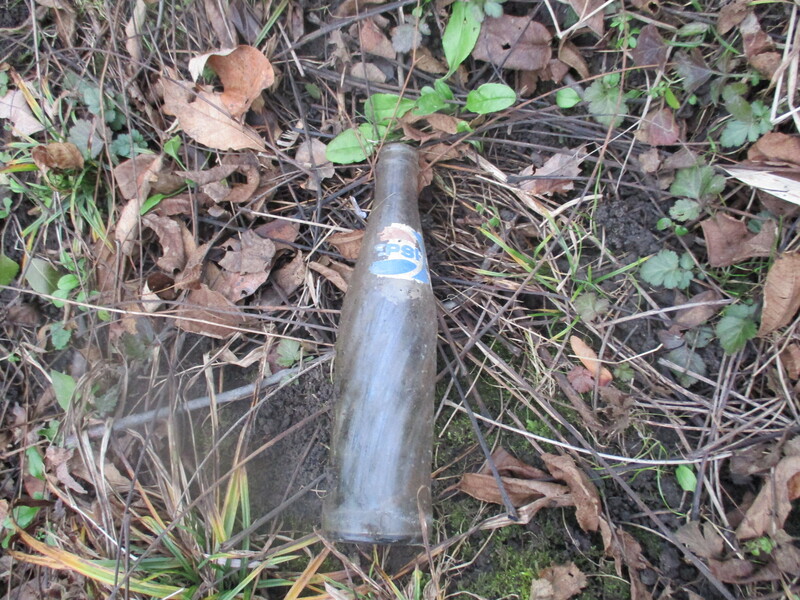 There are many old “stubby” beer bottles along here plus this worn 1973 Pepsi bottle. 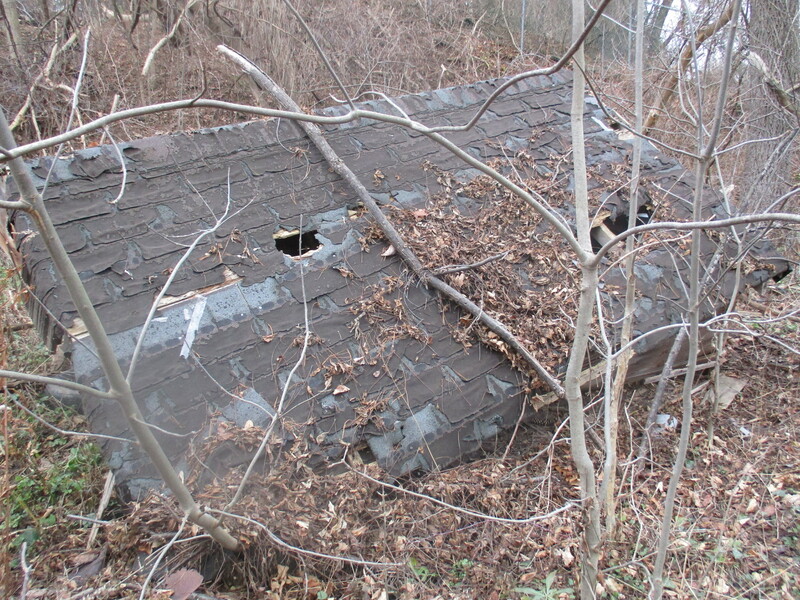 An old building on the floodplain for Mullet Creek has almost completed it’s collapse. 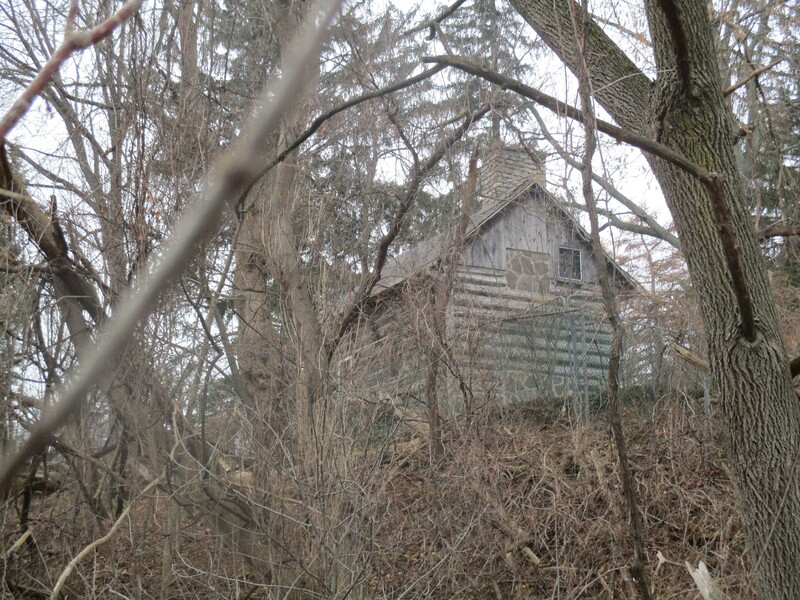 On the hill above the collapsed building stands what may be the original log home on the property. 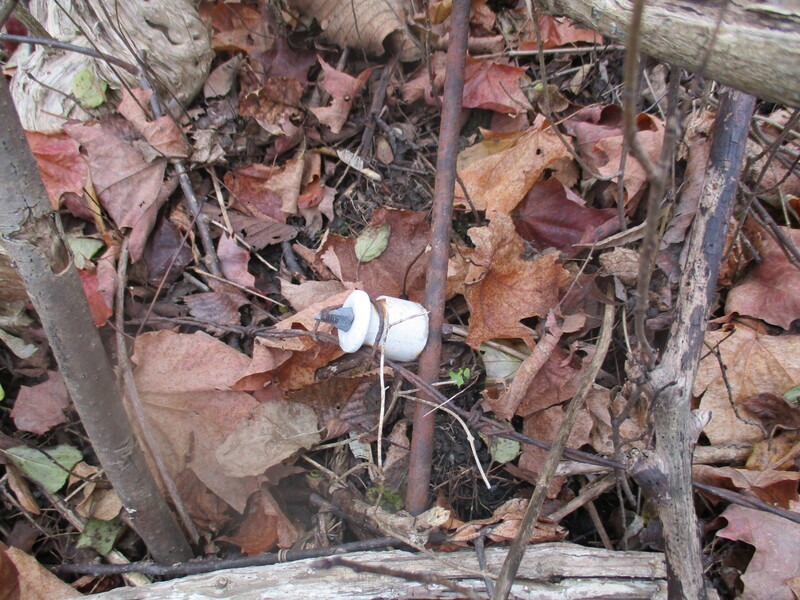 In the woods are the remains of an old electric fence complete with ceramic insulators. 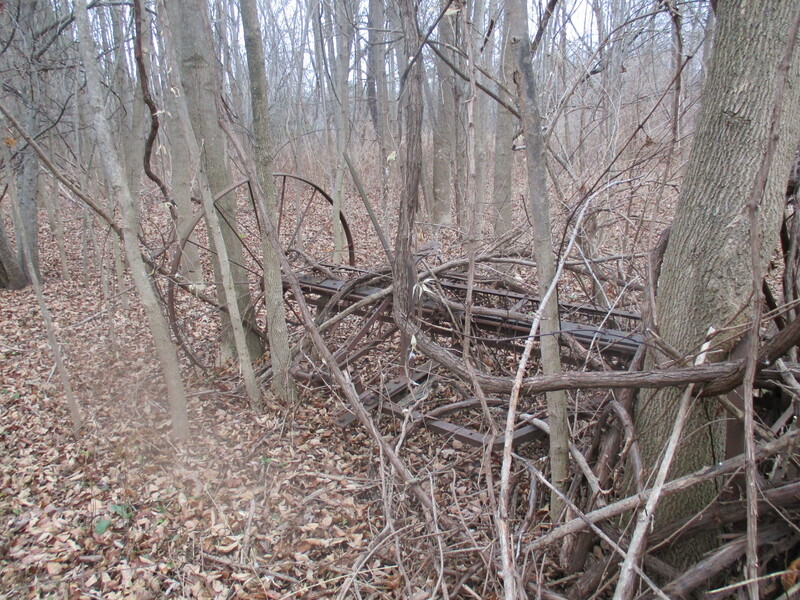 This type of fence was used to keep livestock from wandering away. 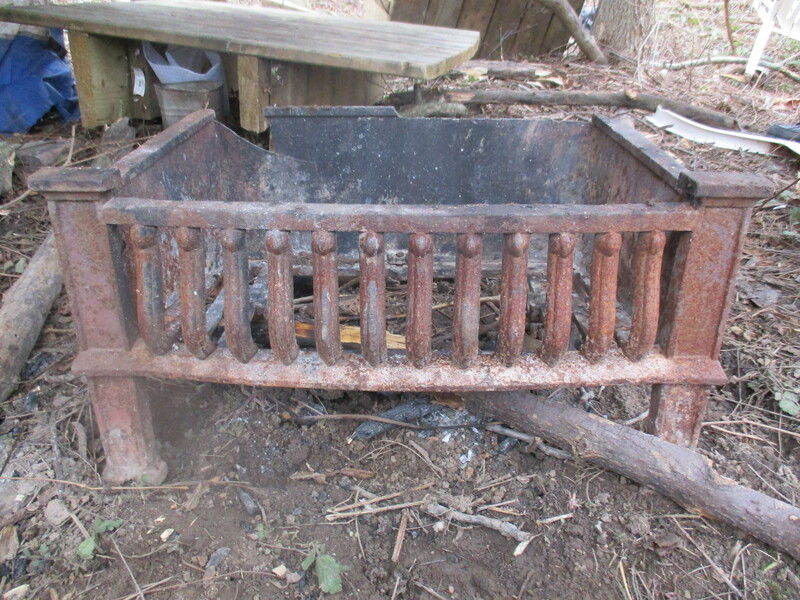 This old steel stove liner is being used in a shelter built in an old deer stand. 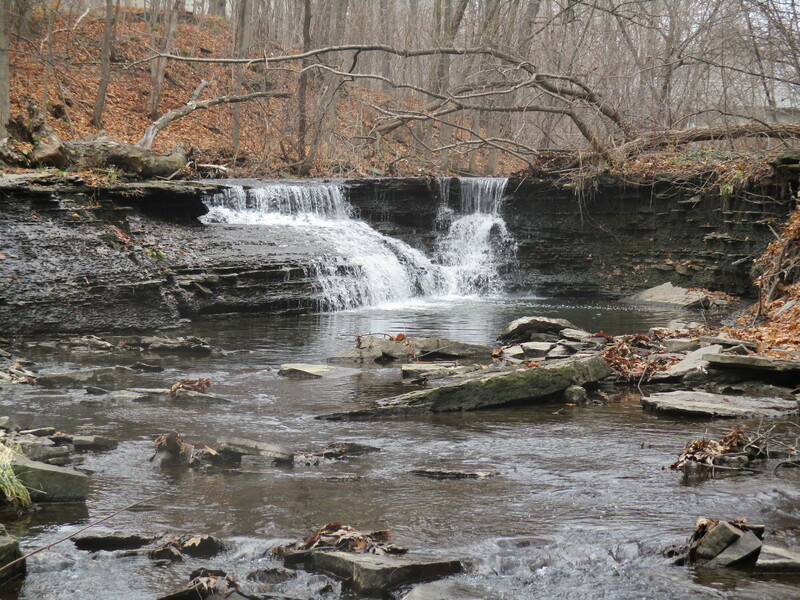 Where Mullet Creek crosses Mississauga Road there is this beautiful and restful waterfall that was featured in Mullet Creek’s Secret Waterfalls. Look for a full feature story coming next week. 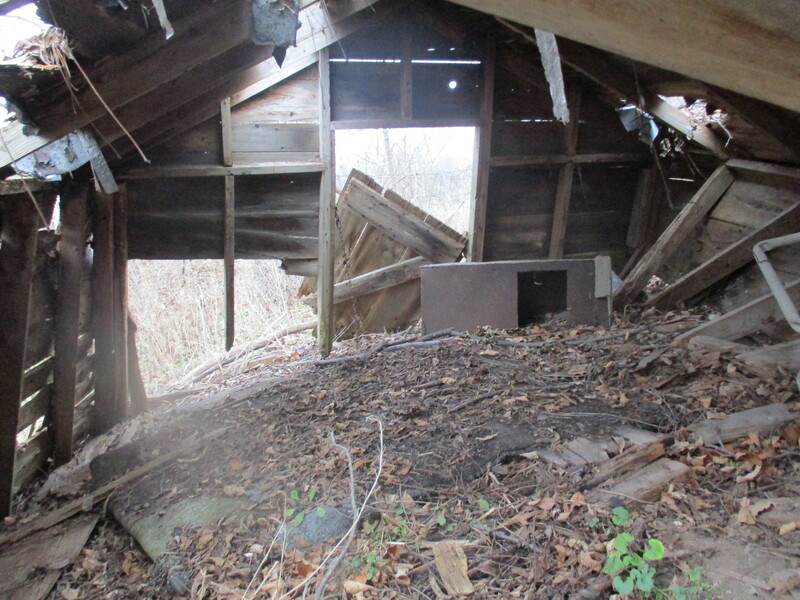 This entry was posted in Credit River and tagged dump rake, hay rake, Mullet Creek, Pepsi on December 6, 2015 by hikingthegta. 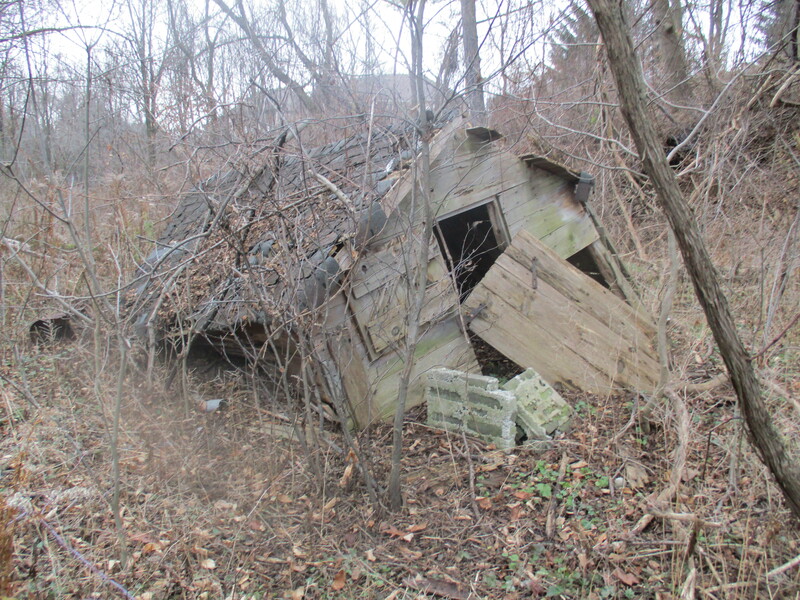 Where exactly can I find the old artifacts and shacks? Near which streets?